Before loading up Tales of Krakow at my friendly online casino I was worried that the slot was going to be some kind of dedication to the victims of World War II. Luckily, however, it turns out to be something a little more genteel. 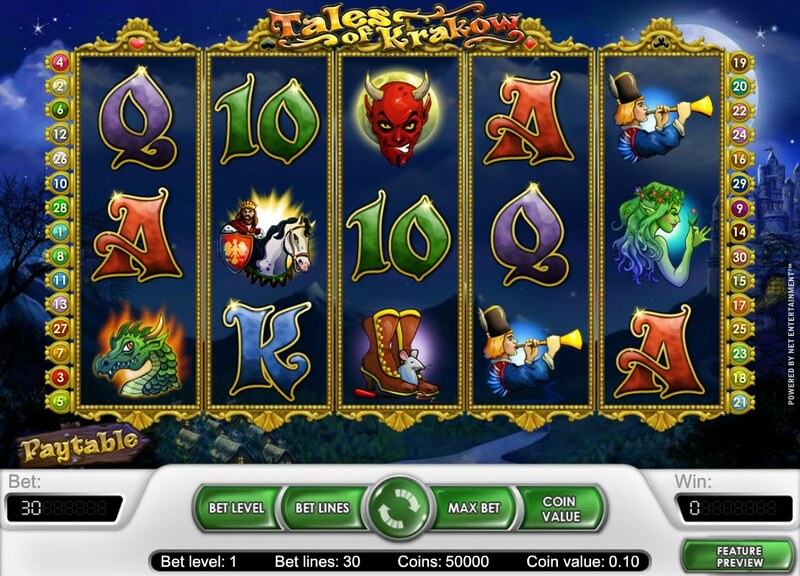 Tales of Krakow is a 5-reel, 30-payline NetEnt-developed game inspired by Polish myth. In case your Polish folklore is a little rusty, I’ll try and explain a little further: a Polish town was being terrorized by a hidden menace, killing sheep and eating local virgins. The menace wasn’t a stag party from Bolton, but actually a mythical dragon who was eventually slain by Krakus, a brave Polish prince. By killing the dragon, the modern city of Krakow was born, and with it a rather slick little slot from leading developers, NetEnt. Mystical medieval symbols adorn the reels, including King Boleslaw, the brave prince, the Devil, hornblowers, and 10-through-Ace symbols. The Devil is the game’s Wild, and as well as substituting for all symbols other than the Scatter and Bonus, awards a juicy 7,500x coin jackpot if you hit five across the reels. The King is the game’s Scatter. 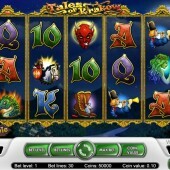 Three or more trigger 12 free spins with a 3x multiplier. Three or more Bonus Dragon symbols, meanwhile, activates the Bonus game. Essentially a Pick Me Bonus game, you’ll be whisked off to the Dragon’s Cave to pick from various eggs in her cave. Keep picking until you hit an empty egg and your turn ends. While NetEnt’s take on the traditional medieval legends theme is original, the bonus features don’t make Tales of Krakow a must-play, unless you’re Polish or have a burning desire to play Polish-themed games. The dragons/legend theme is much better served in my opinion with the excellent fantasy-themed slot from Leander Games, Dragon Slot, or even one of Net Ent’s other fantasy-themed games - Magic Portals.